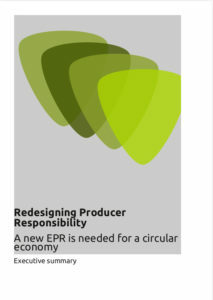 A new study commissioned by Zero Waste Europe finding majority of product waste is not covered by current Extended Producer Responsibility (EPR) schemes and calling for redesign in order to move towards a circular economy. 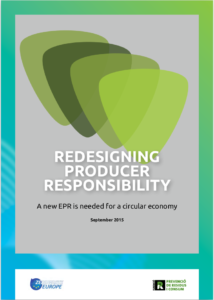 A new study commissioned by Zero Waste Europe finding majority of product waste is not covered by current Extended Producer Responsibility (EPR) schemes and calling for redesign in order to move towards a circular economy. This download contains the full report. 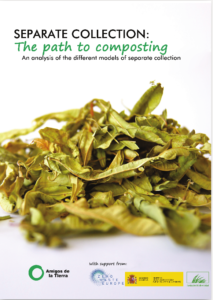 A report into the potential that waste management poses for the transition to a low carbon economy. 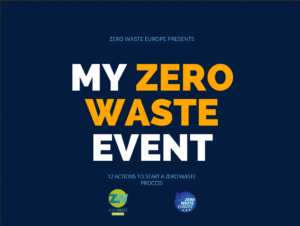 This report commissioned by Zero Waste Europe, in partnership with Zero Waste France and ACR+ and conducted by Eunomia, highlights key problems with the current UNFCCC waste inventories, as well as providing recommendations for their improvement. 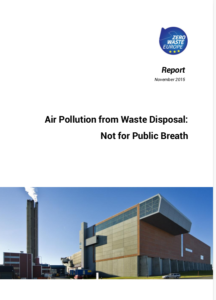 This report looks at the many problems, legal, environmental and epidemiological that waste incineration plants across Europe are facing. 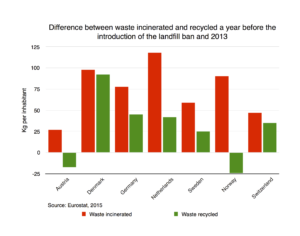 This policy paper warns against the use of landfill bans and advocates for the use of more effective instruments to reduce residual waste and advance towards a circular economy. 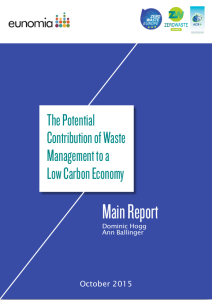 The Executive Summary of our report into the potential that waste management poses for the transition to a low carbon economy. 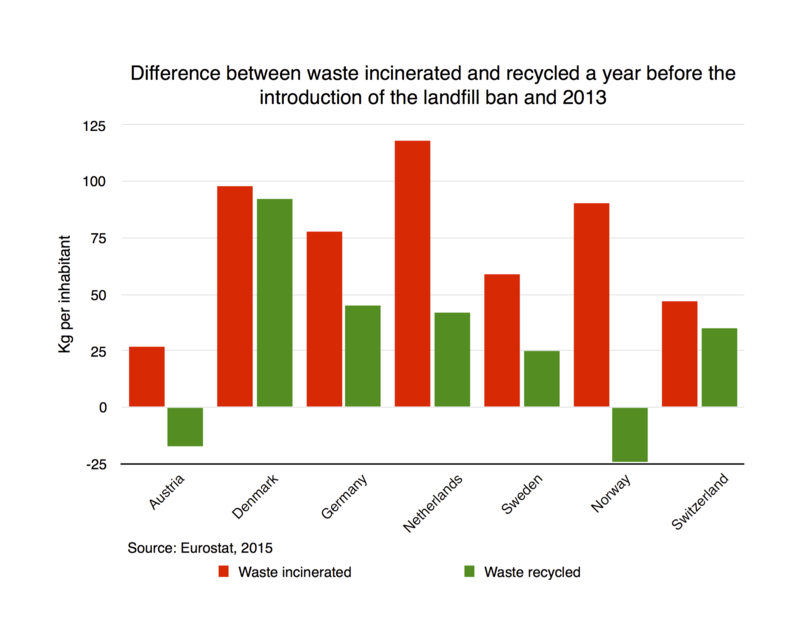 This report commissioned by Zero Waste Europe, in partnership with Zero Waste France and ACR+ and conducted by Eunomia, highlights key problems with the current UNFCCC waste inventories, as well as providing recommendations for their improvement. The Executive Summary includes key recommendations and findings from the full report. 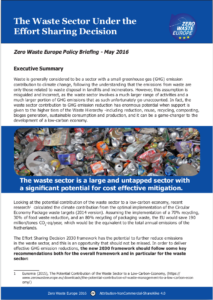 This policy paper lays out Zero Waste Europe's position on the waste sector under the Effort Sharing Decision, based on research demonstrating the true impact of that waste has on greenhouse gas emissions.